Thanks to Apple’s native AirPrint wireless technology, gone are the days of tangled printer cables and centralised printing. And this makes sense: wireless technology is everywhere, and everyone expects it these days. With AirPrint, it’s now possible for users to print photos and documents in a flash from literally anywhere in their home – or office – that’s within reach of a Wi-Fi signal. Simply connect your iPad, iPhone or any other iOS device to that printer on your network, and you’re good to go. If you’re in the market for one of these fantastic pieces of technology, then read on. Here are 3 of the best affordable wireless printers to use with your iPad or iPhone. An affordable all-in-one wireless printer that’s compatible with both the iPhone and iPad, the Epson Expression XP-850 is capable of printing top quality photos and easy to read text. It also doubles as a scanner, fax, and copier, making it ideal for the home office or the busy professional. The XP-850 is easy to setup, energy efficient and features an intuitive touchscreen for simple navigation. Keeping printing costs down is made easy due to the printer’s high-capacity ink cartridges – print more for less. The printer is able to automatically print on both sides of the page and features a 30 sheet paper tray. With built-in AirPrint technology, a low cost-per-page, and print speeds of up to 19 ppm, the HP Officejet Pro 8610 is a solid all-in-one wireless printer that’s perfect for those users looking to print professional looking documents and photos. It’s a true workhorse, allowing users to print from their iOS devices without effort of fuss. A printer, copier, scanner and fax, the Officejet Pro 8610 features a 250 sheet page tray and is also packed to the brim with other useful features, such as USB connectivity, scan to email, duplex printing, and an intuitive touchscreen display. If you’ll be printing more documents than photos, the HP Officejet Pro 8610 is a great wireless printer to have around. Ink cartridges for HP Officejet Pro 8610 can be found here. Designed with overall performance and image quality in mind, the Canon PIXMA MX892 is an all-in-one wireless printer that simply delivers. Working seamlessly with the iPad and iPhone, this small, yet feature packed wireless printer is able to print photos at a resolution of 9600 dpi – that’s a high enough resolution for the pros. Users can also edit their photos from the convenience of the intuitive 3-inch LCD screen with the PIXMA MX892. Featuring a 35 sheet page tray and requiring little in the way of setting up (no additional drivers are needed; simply plug it in, connect to the network, and you’re ready to roll), the Canon PIXMA MX892 is a user friendly Apple compatible wireless printer that would make a welcome addition to any home or office. Canon ink cartridges can be found here. Before making any purchase, it pays to be clear on what you need out of a wireless printer. So sit down, have a think about what kinds of documents you’d like to print, as well as what features you need, and then make your decision. That way you’ll pick the right AirPrint enabled printer for your home or office. The 3D printer is changing the way we think about manufacturing. As the emerging technology continues to improve, and materials become cheaper and cheaper, what was once the exclusive technology of only the top universities and private companies around the world, is fast becoming available to more and more individuals – from backyard innovators to ambitious students. The first ever 3D printer was developed at the Massachusetts Institute of Technology in the early 1990s by a company called 3D Systems (source). Since then they have continued to improve the technology, and to this day remain the leaders of the field. However, even before the development of the 3D printer, many companies in the 1980s experimented with an earlier form of additive manufacturing called rapid prototyping (RP). RP allowed manufacturers to produce prototypes much quicker than usual – sometimes in as little as a day – and marked a positive step forward in the eventual evolution of the 3D printer. These days, significant improvements in the areas of efficiency, cost-effectiveness, and accessibility have enabled this technology to flood into the wider arena. A 3D printer uses additive manufacturing technology to build 3-dimensional objects from a standard Computer Aided Design (CAD) file. Usually used for prototyping purposes, a 3D printer uses different types of plastic filament (ABS plastic, PLA, Nylon and Polycarbonates) which is melted to create solid objects – layer by layer. First, the object is virtually designed in a CAD file using 3D modeling software such as TurboCAD or Trimble. Alternatively, a 3D scanner can be used to scan an existing object and turn it into a digital file that can then be imported into 3D modeling software. Once the object exists in a digital format, the 3D modeling software reads this CAD data and then slices the digital object into hundreds, if not thousands, of individual horizontal layers – much like slicing a salami. When the object has been sliced into enough layers, it is then sent to the 3D printer for printing. Layer by layer the entire object is created by fusing the plastic filament together. This process can take anywhere from between 10 minutes (e.g., a bottle opener) to up to two days (e.g., an actual, working car!) – depending on the size and complexity of the object. The current cost of plastic filament hovers between $20-$50 for 1kg – enough filament to make over 100 small solid chess pieces. Recently, a number of 3D printers have entered the market, some weighing as little as 1.5kg and costing a just over $2000. It’s already possible for 3D printers to print in different colours and materials (including brass, steel, and ceramic) to create fully-functional objects. Indeed, just recently the first 3D-printed aircraft and car were created, signaling a significant step forward in the technology’s continued evolution. 3D printing also allows the production of objects with such intricate and complex designs that it’s simply impossible to recreate using any other technology. 3D printing also has a number of uses and applications in a wide range of industries. For example, 3D bioprinting will allow doctors and researchers to print organs and human tissue. Already, many 3D printers on the market are able to print at such high resolutions: necessary when dealing with the human body. The food industry can also benefit through this emerging technology. Edible objects can be created by printing objects using edible materials. Despite it’s usefulness, the incredible technology that goes into making the humble office printer is often taken for granted. To celebrate the history and future potential of this revolutionary technology, we’ve found 10 interesting facts about printers and ink that will make you see your hardworking laser jet in a whole new light. A millilitre of black ink in a standard cartridge for a home printer costs 97 cents, whilst a millilitre of top shelf champagne like Dom Perignon costs just 30 cents per millilitre. Alongside gunpowder, paper, and the compass, printing is considered to be one of the greatest inventions of ancient China. The earliest woodblock printing systems in China date back to 220AD and moveable type was invented in China around 1040. At 1-inch-wide, 2 inches high, and 11 inches long, the PrintStik printer is the smallest in the world and operates via Bluetooth. This compact printer also comes with 20 inbuilt sheets of paper. Dubbed ‘Infinitus’ this giant printer used to produce backdrops for film and theatre purposes. It’s capable of printing on up to 600 square metres. Fuser rollers heat toner so that it melts and can be bonded with the fibres of the paper, and these rollers can reach up to 205 degrees Celsius. In 1969, Xerox built the first laser printer by using the laser of a photocopier to transfer an image directly onto the copier drum. They also produced the office laser printer in 1981 which cost an incredible $17,000. Canon produces edible printer ink which can be used to print cake decorations. These contained enough ink to fill four and a half Olympic swimming pools. Printing technology has been adapted to print glass, create images in a waterfall, a food printer, and a coffee printer. In 2013, Samsung Engineers produced a printer they called ‘Origami’ that has an exterior was made of recycled paper and is assembled using an ‘origami based’ technique. Finding the right printer for your home office is a very different process to finding one for a commercial office space. Whilst office printers are essentially black and white text workhorses, the typical home office printer needs to be able to handle everything from homework assignments to family holiday pictures, so it needs to be versatile and durable, without compromising too much on print quality. This week, we take a look at a few key features you should consider when shopping for your next home office printer. Traditionally, inkjet printers were considered to be far inferior in terms of quality when compared to laser printers. Nowadays however, inkjets have come a long way and when it comes to home office use, are a much better choice than a similarly priced laser model in terms of speed, cost per page, and features. Every modern printer on the market offers USB connectivity, but what you really need to be on the lookout for is Wi-Fi as a connectivity feature. It means print jobs can be sent from anywhere in the house and more than one user can send print jobs in at a time. A display screen makes navigating the control features and menu options of a printer much easier and boosts the overall user experience. Where possible, opt for a printer model with a display screen rather than buttons. Also known as two sided printing, duplexing features help keep paper costs low and is a great way to minimise the environmental impact of your printing activities. Most modern households have multiple mobile devices, so it makes sense to look for a printing model that offers some form of mobile printing whether it’s an app that works with your mobile operating system to print directly, one that can be setup to print through email, or one that uses near-field-communication to send print jobs via Wi-Fi. Poor quality prints are a common occurrence and can have several possible causes. Sometimes we need to eliminate the probable causes one at a time before going to the expense of replacing an ink cartridge. The first step is to perform a test print out to see exactly where the problem is. Is the issue the ink coverage or is it in the alignment of the print? The alignment problem is easily noticeable as the text may be slanted or distorted but other print clearly enough. The other problem that you can encounter is the obvious poor quality of the print with parts missing or gaps appearing in the text or image. Printing a test print will reveal where the problem is. To print a test page go to file print > properties > maintenance > print head alignment. You will need to load several sheets of paper in the printer as you will more than likely be printing out several test pages. The alignment test page will show if the letters are slanted and ask you to choose the best settings from the display in an effort to reset the alignment. It’s quite rare for the alignment to require must adjustment but it does happen from time to time. If the alignment is not the issue then it’s time to print out a text page to check the print quality. To print this test page go to file print > properties > maintenance > nozzle check. This will print four lines of each colour and display any broken lines or gaps in the printing. If the four lines are not completely solid, it will be necessary to perform a head cleaning procedure in an effort to clear any blockages either in the print head or ink cartridges. To perform this the head cleaning procedure go to file print > properties > maintenance > head cleaning. After each head cleaning procedure it is necessary to print a test page and you will be prompted to do this by the cleaning programme. If the print out is not to the standard required it may be necessary to perform this procedure several times. This of course will affect the life of the ink cartridge as quite a lot of ink is dispensed during the head cleaning as it is forced through the print head as it tries to clear any blockage. If none of the above make much difference to the print quality it is worth trying a new cartridge in case one of the cartridge is faulty – try replacing the black or one of the colour inks that show up particularly bad on the test page print out. In some cases the print head may be worn and require replacement, in this case it may be more economical to replace the printer depending on the value of the current printer. First of all you need to establish whether or not your printer ink cartridge needs to be cleaned. Run a test print and look for streaks or other indications such as dots that suggest that the ink cartridge needs to be cleaned. If you feel that the ink cartridge needs to be cleaned then select this option from the printer utility on your printer – anyone that is not sure how to perform this function on their specific printer should refer to their user manual. Once the cleaning is complete, print another test page and check the quality. Repeat the procedure until you are satisfied with the result. Almost all printers have a built in cleaning function that you can use to clean the printer head. If you are having difficulty with good quality print outs form your inkjet printer the heads may require cleaning. You should check your user manual to find out the exact procedure that you are supposed to use for your inkjet printer. Should that not work, or your inkjet printer does not have this function, then you should buy a substance that is over 90% alcohol and apply it to the printer head. It is good practice to run a print head cleaning every week. When the print head on the printer is dry, replacing the ink cartridges will not do solve the problem. The print head is located in the printer, not the inkjet cartridge. Running a print through the printer on a regular basis will help prevent drying out. Try to avoid touching the ink nozzle with your fingers when handling an ink cartridge. The ink in an opened inkjet cartridge will usually dry out within a couple of days if it is not in the printer. If an opened ink cartridge will not be used for a period of time, it should be wrapped in plastic wrap and placed in a plastic bag and sealed. If the ink nozzle was to become clogged, you can dissolve the dried ink by soaking the ink cartridge in water for a few minutes. To soak the ink cartridge, place it in a foam container and fill the cup with water until the ink cartridge is halfway immersed in water. To dry the ink cartridge, blot it with a soft lint-free cloth. An ink cartridge should be replaced as soon as you notice the ink is getting low, to avoid damaging the print head. Usual signs that the ink is low include light prints or white streaks. It is best practice to check the ink level before a large print run to ensure that you do not run out of ink. If the ink cartridge is leaking after a refill, do not put it back into your printer. Sometimes an ink cartridge may leak a small amount of ink after a refill, but once the air pressure inside the ink cartridge equalizes it will stop leaking. In the event that the ink cartridge leaks a lot, put the ink cartridge on a folded piece of paper or in a paper cup until the leak stops, then wipe the ink cartridge clean and put it in the printer. The print head should be cleaned before printing if the printer has not been used for a long time. A compatible inkjet or toner cartridge is manufactured by a different company than the original. Compatible inkjet cartridges are as reliable as the original and give as good a print quality too. Claim to the inkjet cartridges are remanufactured so that you can replace your inkjet or toner cartridge without needing to buy a branded version. So if your printer is made by Canon, Dell, Lexmark, HP, Epson or Brother, it is possible to use a compatible inkjet or toner cartridge. Possibly the most important thing is that you save a lot of money. This can be up to 50% savings on inkjet or toner cartridges in some cases. For most of you a printer is more than just an office tool. Printers and printer cartridges have become essential parts of modern life. They successfully complete the task of printing your essential documents and help you preserve the important data in a tangible form. There are several printer cartridge brands available today. Some of the leading brands like Brother, Canon, Centronics, Citizen, Dataproducts, Dell, Digital, Epson, Facit, Fujuitsu, Genicom, Hitachi, HP, ICL, Infotec, Kodak, Konica Minoltta, Kyocera, Lexmark, Mita, Mitsubishi, MURATEC, and Newbury Data supply printer ink cartridges that offer excellent printer ink quality and long life. Some of them are cheap ink cartridges, offering great value for your price on brand printer cartridges. If you are looking to buy a new printer cartridge, you may look for the better options available in online print cartridges providers. There are a good number of online printer ink cartridge providers that offer all brands of printers and printer cartridges from leading brands like Newgen, Oce, OKI, Olivetti, Olympia, OTC, Phillips, Pitney Bowes, Printronix, Ricoh, Samsung, Sharp, Siemens, Tally, Tektronix, Texas Instruments, Triumph Adler, and Xerox. 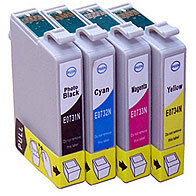 The online store provides you with immense options to choose the right kind of printer ink cartridges for your needs. How do you choose the best printer cartridge from the hundreds of printer ink brands available in the store? Well, there are two options available for you: either you may opt for a brand new product or you may opt for the reused product. Printer ink cartridges are the costliest part of a printer. Some of the printer cartridges cost more than half of the price of the printer as a whole. In this scenario, it’s better to opt for the reused printer ink cartridges or inkjet cartridges to save your money. If you have already reused the printer ink cartridges for more than 4-5 times, you may look to replace it with a new printer ink cartridge that is compatible with your printer. If you are using an older version of a printer, you may find it difficult to get a printer ink suitable for your equipment. Printer ink cartridges dealers can be of great help in this regard. If you approach a printer ink cartridges store, you will get a chance to look for the hundreds of models of printer cartridges from leading brands. Even if your printer is of different brand, you will surely get the printer ink cartridge from the huge set of ink cartridges displayed in the store. With the help of a professional assistance, the selection of ink cartridge becomes easier. It’s important to look for a quality printer ink cartridge for many reasons. Whether you are a home user or business user, quality of the printer ink makes a huge difference in the printing process. If you want a smart and tidy printing, you will have to opt for the best quality printer cartridges from good brands. Not all brands may offer you the excellent quality printer cartridge solutions. Some of these well-known brands offer cheap ink cartridges, so there may be a difference in the quality of printing. For example, if you are in the business of creative arts or advertising, you may have to look for the best quality ink cartridge that yields high resolution printouts of logo or advertisements in the way you want. In this case, you may have to sacrifice a bit of your savings so that you can get a professional quality printout for these jobs. As printers are available in different specifications, printer ink cartridges are also modified to suit these printer applications. 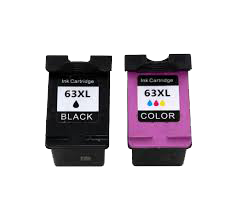 There are heavy-duty printers designed for bulk printings, so the ink cartridges designed for these printing activities may require bigger ink reservoir that can store the printer ink for several tons of printing. On the other hand, business users may require medium-sized printer for printing the day-to-day documents generated in their business. Home users or small business users may require ordinary printer that may require 1-10 pages of printing daily. Printer cartridges are also available for printers designed for special applications like photography or brochure printing. As digital photography became popular, the demand for printer cartridge for this application also increased. Now most photography studios or design shops have printers compatible for photo printing. The best way to sort out printer cartridges on the basis of quality is to look for international standards like ISO 9001. Leading brands like HP, Canon, Dell, Brother and Lexmark are ISO 9001 or above, so they can be trusted. With the ever-growing demand for printers and the emergence of new printer applications printer cartridge market is expected to show significant growth in the coming years. Though there has been increased adoption of virtual documentation processes, the value of printers and hence printer cartridges will remain unaffected in the future. There is tough competition in the printer cartridges market. Both big and small printer cartridge companies are trying to reach out to maximum number of customers. To manage this competition many of them are offering cheap ink cartridges services to customers. With this, they can improve their bottom line while at the same time earn reputation in the market by showing an increased growth margin. The competition among printer ink cartridge companies is a boon to customers. They have a variety of cheap ink cartridges to pick from and are able to save on recurring printing costs. While buying a printer cartridge, however, you should ensure that you don’t sacrifice the quality for the price. Costlier printer cartridges are found to be long lasting than their cheap counterparts. Always be alert and prudent while selecting the print cartridge! Using remanufactured HP 61 / 62 /63 cartridges and your printer gives a message that the cartridge is “protected”, you can Disable the HP cartridge Protected message. 2. Find your HP printer and double-click it to open the “Settings” page. 3. Click the text for “Estimated Ink Levels” under the heading of “Shopping Resources”. This will open the HP Toolbox window. 5. CLick the radio button next to “Disable HP Cartridge Protection”. 6. Click the “Save Setting” button to save your new setting. Then, close the window. 7. You might need to remove and re-install the cartridge for it to be recognised properly. Whatever the nature of your business, it is very rare that a week doesn’t go by when you need to use a printer. Thanks to all-in-one printers, that need may not always be to print a document or form, but simply to scan a document to attach the image to an email. In addition, with a small business, cash flow and running costs are always critical, so there is little point in spending thousands of dollars on something you only use a couple of times a week when that money could be better spent more directly on the business. The truth is, you may not even need a full colour printer, though the price difference between entry-level colour printers and a good monochrome one is not significant. However, where you can save money is on ink cartridges, as black ink is less costly than colour ink. Space is another aspect you have to take into consideration. If you have your own office, chances are you may be short on space, so the more compact the printer, the better. Some designs are more space saving than others. Don’t forget that most dimensions given for a printer don’t include the space you need to pull out the paper draw for when you need to refill it, or an extension to catch printed paper. One aspect of printers today that is a huge plus for small businesses is the capacity to print remotely. If you are within a reasonable distance of the printer, you can print direct from a tablet or smartphone via a Bluetooth connection. However, you can print from the other side of the world if you have an internet-connected printer, usually via Wi-Fi. This is excellent for when you are away from the office, but maybe want someone in the office to get a physical copy of an image you need them to see. It can be a document you’ve photographed, or a picture you’ve taken with your smartphone. You can simply print via email and you need not come anywhere near your printer. One final thing to take into consideration is running costs. A printer’s initial price may seem competitive, but if it guzzles ink, then over time it could turn out to be more costly than anticipated. Do some research and see what you can discover about cost per page for printing – this is always the best guide and you can usually find it out somewhere if you have the name and model number of the printer. The USP of this printer from Epson is the use of ink tanks as opposed to ink cartridges. This helps considerably to reduce the running costs and per-sheet cost of printing, and the tanks are simply replenished from larger individual ink bottles in black, cyan, magenta and yellow. This is an ideal home-office all-in-one printer which not only prints but has fax, scan and copying facilities included. The printer should be supplied with enough ink for two years’ use, so that you don’t have any ongoing costs once the initial purchase has been made, and ink supplies are sufficient for 11,000 pages of black text, and 8,500 pages in colour. I am so happy with this printer. The quality of the prints is amazing, I have even printed photos for the first time ever and they came out perfectly. I can also print long articles quickly and economically for my Uni work. The features of being able to print double sided, use the document feeder to scan multiple pages, program different print qualities depending on what I am printing, all have me amazed. Overall I am extremely happy with the functionality and totally looking forward to never running out of ink in the middle of the night again, or having to spend so much on replacing ink cartridges. Yay for Epson. This is an excellent space-saving printer from Brother and for those in a rush, a printing speed of 42 pages per minute means this is no slouch. There is also a sensible amount of paper storage with a standard 250-page feeder tray, and a 50 sheet multipurpose tray for specialised media, which can be expanded to 1340 sheets with an optional feeder tray. The recommended monthly capacity is a remarkable 50,000 pages. Wireless capability comes through the Ethernet and enables wireless connection to mobile devices so you can print direct from a smartphone or tablet, again adding to the time-saving design of this printer. With excellent speed and networking capabilities, the HL-L5100DN Monochrome Laser Printer from Brother is a versatile unit well-suited for use in a home or office. The printer will be able to work quickly and with precision with a 42 ppm print speed and a resolution of 1200 x 1200 dpi. It can produce documents as large as 8.5 x 14″ and it will take less than 7.2 seconds for the first print out. Automatic duplex printing further enhances productivity and limits paper usage with its 2-sided output. Fast, high-quality printing. With a print speed of up to 42 pages per minute, this printer is ideal for busy offices. Plus, it offers up to 1200 x 1200 dpi resolution for crisp, clear text and excellent graphics. Built-in networking. Share the HL-L5100DN with multiple users on your network via its Ethernet interface. Cost-efficient output. Help lower your operating costs via a high-yield 8,000-page replacement Brother toner cartridge. Easily handle your large print jobs via an adjustable 250-sheet capacity paper tray and 50-sheet capacity multi-purpose tray. Additional optional paper trays are available in 250-sheet or 520-sheet capacities enabling users to configure the printer with multiple trays in a way that best meets their application requirements – up to 1,340-sheet total capacity. Outstanding customer support. The Brother HL-L5100DN offers a 1-year limited warranty with free phone support for the life of your product. As is common with a number of Brother printers, this is a swift machine which saves wasting considerable time. It is ready virtually instantly from sleep mode, and takes only 6 seconds to produce a first copy. Now that’s impressive. Once again we’ve got wireless connectivity enabling network access from mobile devices such as a smartphone or tablet, while minimal running costs are also a key feature of this printer. Monochrome means that you can still scan in colour, but it will only print in black and white, or greyscale. This obviously saves on the cost of coloured ink or toner cartridges. This one operates with a toner cartridge which will further reduce per-copy costs. This is complemented by the duplex scanning and printing function which requires only one pass. If you need a monochrome laser multifunction printer (MFP) with the ability to scan duplex (two-sided) documents, be sure to include the Canon imageClass MF229dw on your short list. It delivers speed and paper handling suitable for a small office, offers an easy-to-use, touch-screen control panel, and lets you copy or scan stacks of two-sided pages, courtesy of a duplexing automatic document feeder (ADF). For a micro office with moderate print needs, it could easily be the right fit. Convenient access to the front panel from a standing or seated position. Easy set-up mode will search for access points to connect to – ensuring trouble free network connections. 50-page Duplex Automatic Document Feeder (DADF) for fast unattended copying and faxing. Huge fax memory of up to 256 pages to ensure there are no lost message. Samsung have produced a very competitively priced all-in-one printer, fax machine, copier and scanner in an eye-catching and impressive space-saving design. Advanced ReCP (Rendering Engine for Clean Pages) helps to ensure that you get crisp and clean prints and scanned copies. The large Samsung toner cartridge reduces risk of running out of ink at vital times, while also helping to reduce per-page printing costs. Download the Samsung Mobile Print app for both iOS and Android platforms and you will be able to control the printer from your smartphone, enabling you to wirelessly use all four functions. I just replaced my Epson XP-800 with this, and am very pleased with its performance thus far. This is a workhorse of a printer for those who want efficient and speedy printing of black-and-white documents. Jet intelligence ensures that you get peak performance from this laser printer to minimise running costs, while speed of printing helps save considerable time. Both wired and wireless functionality means you can operate this printer remotely and print direct from mobile devices such as a smartphone or tablet. The all-in-one design saves on space in your office, which is usually at a premium, so in one workhorse you can print, scan, fax and copy documents on full colour or black and white. At just over $500.00 this fits in well against stiff competition in this sector of the printer market, but with HP’s name for robust and reliable printers and other computer-associated hardware, you’re pretty well guaranteed trouble-free performance. Fuss-free setup and easy to use features. Fax worked for me via a splitter. Able to print via iPad, scan to USB. Duplex printing is a breeze. Still checking out all its capabilities though – would love to know how to automatically scan to both sides of the paper. Really small footprint to boot! Create professional-quality color documents, and speed through tasks with super-fast two-sided printing. Choose the MFP that’s the smallest in its class, and prints from sleep mode faster than comparable devices. Access time-saving apps from the 3-inch (7.6 cm) touchscreen, and scan directly to email and the cloud. Print to this MFP with just a touch of your NFC-enabled mobile device—no network needed. Get more pages than ever before—using Original HP High-Yield Color Toner cartridges with JetIntelligence. Count on professional quality at high speeds—HP ColorSphere 3 toner works best with your HP printer. Get the authentic HP quality you paid for with anti-fraud technology. Print right away with preinstalled HP toner cartridges. Replace them with optional high-yield cartridges. Safeguard data and easily manage devices with a suite of essential security and management features. Increase security, restore control, and help avoid additional expenses—with HP JetAdvantage Private Print. It seems that no sooner do we get to grips with the latest version of the Windows operating platform than Microsoft release an upgrade. You only have to read on online forums the level of frustration that this seems to cause. For every supposed improvement the software giant makes, it would seem that a much-loved feature is removed. It is clear that the Windows 8 platform was the first that was specifically targeting mobile devices, particularly tablets and especially smartphones. For those of us who still access the Internet via a PC, the subsequent upgrades to the new-style operating system, Windows 8.1 and Windows 10 just seem to have made life more complicated. It is clear that the latest version, Windows 10, is very much mobile-oriented, so this then creates further questions which need answering. The principal question relates to printing and printers. If you are using a tablet or smartphone to do the majority of your surfing on the ‘net, then you would seem to have only one option of printer available to you – a Wi-Fi-enabled computer, as trying to connect your smartphone to a printer via a USB cable or other form of connection would negate the advantages of ‘computing on the go’. However, there then comes another question. Will the printer work with any new operating system, such as Windows 10? More to the point, even if your printer is Windows 10 compatible, what will happen when Windows release a new operating system, will your printer then become redundant? Well the good news is all is not lost. Whenever Windows release a new operating system, there are usually a whole host of new drivers released that are compatible with any new operating system and which enable your printer to retain its compatibility. The next questions you need to answer before choosing a new printer for the Windows 10 OS is what you will use it for. If you will be using it mainly for printing black and white documents, then you would do well to choose a printer which has a separate black ink cartridge and colour ink printer cartridges, while if you use a printer for high definition colour images, then you will want to choose a printer with a large pixel number to increase the resolution, as well as having the capability of printing on photo-quality paper. The last question you need an answer to is how quick the printer will produce copies. Once again the need for printer speed will vary depending on whether you frequently print multiple copies, or if you tend to do more one-off printing. This is an impressive all-in-one printer with a very appealing and unusual design. This is a great Windows 10 printer if you need your copies created in a hurry, and as an all-an all-in-one product, you’ve got a scanner, fax machine, copier and printer all wrapped up in one neat and tidy package. This is very much a printer for the office environment, with a 50-page document feeder, superfast 2-sided copying, and an impressive 500 sheet main paper tray and 250-sheet secondary tray. Produces clear, crisp, water- and fade-resistant prints. A major time-saving plus for us is the one-pass two-sided scanning facility, while being able to print direct from any mobile device is to be expected for such a quality printer. While it’s not perfect, this is generally a very good MFP. It’s helped by reasonable ink costs of about a penny per black A4 page, or 4.3p in full colour – calculated for the 953XL colour and 957XL black cartridges. At this price, if you can live without a PCL driver, I’d recommend Epson’s WorkForce Pro WF-5620DWF. If not, the OfficeJet Pro 8720 is a decent alternative. Consumables: L0S60AA, L0S72AA, L0S51AA, L0S63AA, L0S54AA, L0S66AA, L0S57AA, L0S69AA, L0R42AA. This printer delivers on quality of reproduction thanks to the original HP pigment inks for a vibrant and durable finish. This is a top-of-the-range inkjet printer which produces laser quality copy and from the point of view of economy, uses individual black HP ink cartridges and three separate colour HP ink cartridges. This is backed up with impressive printing speeds of 21ppm in black and white, or 16.5ppm in colour. Wireless printing is an essential element, allowing you to print from any mobile device, while ‘copysmart’ solutions allow for two-sided scanning to create a single sided copy. This is at the upper price point for this range of printer, copier, scanner and fax machine all rolled into one stylish package, but one we recommend, particularly as it is geared up to work with all Windows operating systems, including Windows 10. It’s funny to think of a pigment-based inkjet as being suitable for business use considering how expensive ink can be, but that’s exactly what HP is touting with this model. Once you start using it, the capabilities of the machine become obvious. In full swing, it can print documents at a rate that is almost as fast as a colour laser printer, and with results that are highly acceptable as far as quality is concerned. The best part is, it won’t incur high running costs. Consumables: CN049AA, CN045AA, CN046AA, CN047AA, CN048AA. This laser printer is for the busy office/business environment, ideally used for document reproduction and production. As a monochrome printer it is fully wireless enabled, allowing you to print remotely from any mobile device, such as a tablet or smartphone. While a monochrome printer, the capability of this all-in-one printer does allow for colour scanning, which is a big plus. Speed of printing is impressive at up to 40ppm. This is a 5-function machine, offering a Laser Printer, Laser Fax, Flatbed Colour Scanner, Flatbed Digital Laser Copier, PC Fax. Brother toner cartridges allow for between 3,000 and 8,000 pages between refills, which is also impressive. As a laser printer, this is a neat package with print quality up to 2400 x600 dpi in monochrome. It is ready to print within 30 seconds of powering up and 8.5 seconds from sleep mode. What we like about this printer the most is the size (365mm x 360mm x 183mm) and wireless function, making it ideal for those with limited space. We also liked the fact that Brother toner cartridges and Brother ink cartridges will cover between 1,200 and 2,400 pages so you won’t be forever running out of ink at vital times. 5* Great printer, cheap, fast and easy to set up. I bought this printer recently and have been impressed by the cost of ownership, it’s speed, the print quality and the ease of set up. Would recommend. This Brother inkjet printer is very much geared towards the medium-sized office with its A3 printing, copying, fax and scanning capabilities. W-Fi enabled allows you to print direct from smartphones and tablets, making this a very adaptable and functional printer that will operate well with the Windows 10 OS. As well as having a touch screen, this particular model also has duplex capabilities, meaning you can print both sides of one page, and scan both sides of a document with one single pass. This certainly helps save precious time. For an A3-capable printer, it is not too bulky and takes up surprisingly little space considering the numerous functions it offers. High-yield ink cartridges also helps to reduce per-sheet costs, while a 50-page automatic document feeder also enables you to swiftly scan, fax and copy multiple documents. This may not be the fastest printer on the market, but for this price point, it is certainly impressive. Good print quality. 11 x 17 inch prints, scans, copies. Built-in networking with remote setup. Large paper capacity. Comes with high-capacity Brother ink cartridges. I would still recommend the device to a small business with wide format printing needs since you would be hard pressed to find a machine that can do as much as the Brother MFC-6890cdw [for the price]. Consumables: LC-67BK, LC-67C, LC-67M, LC-67Y, LC-67BK2PK, LC-67CL3PK, LC-67PVP. This is a well-designed printer which epitomises Epson’s commitment to quality and functionality. This is a small yet powerful colour printer (390mm x 300mm x 145mm) with the option of either a 2.0 USB connection, or wireless Wi-Fi to save on cable tangles. Scanning is such a useful option on a printer, and this one scans at a resolution of 1200 x 2400dpi, while printing at a range of clarity and precision, up to an impressive 5760 x 1440 dpi. Speed is competent at 33ppm B&W and 15ppm colour. If you do a lot of B&W printing, you’ll benefit from individual Epson ink cartridges as opposed to an all-in one cartridge. The main reason for purchasing this printer was the Wi Fi direct feature, this enables you to print directly from a smart phone to the printer without using a Wi Fi router. Small size without compromise – space-saving design with great performance. Easy set up and menu navigation – large, intuitive 2.5″ colour LCD and touch panel means easier navigation and easily view, crop and print photos. The complete wireless solution1 – connect to wireless network in seconds including Wi-Fi Direct. EPSON Connect™ – easily print from iPad®, iPhone®, tablets and smartphones; print and share from anywhere. Remarkable print quality – get crisp, sharp documents and brilliant colour photos. Print customised & borderless photos – built-in card slots for PC free photo printing. Better image enhancement tools2 – red-eye removal, photo restoration and correction of over/under exposed images. Print templates – easily create calendars, envelopes, message cards and lined paper. Simple to use – easy to set up in minutes, with one-touch copying and scanning; intuitive touch panel for ease of use. Brilliant results, smart value – 4 individual Epson ink cartridges and only replace the colour that is used. XL size cartridges – For 2.5x more prints, 3 different sizes to suit your needs. Quiet operation – Whisper-quiet printing and scanning prevents noisy distractions. Consumables: C13T293192, C13T293292, C13T293392, C13T293492, C13T294192, C13T294194, C13T294292, C13T294392, C13T294492, C13T293692, C13T294692. The small footplate belies the multiple capabilities of a printer which comes with the renowned name of Epson behind it. Versatility comes in the form of Wi-Fi capability, allowing you to print direct from your smartphone or tablet without having to connect via a cable or insert an SD card. PrecisionCore powers this unit to provide ultra-fast high-quality prints, while reducing per-copy costs by up to 50% when compared to a laser printer. This is a workhorse of an all-in-one printer which can copy, fax, scan and print, with a 330 sheet paper capacity. Time-saving technology is integrated in the Pro WF-4630 through its capability to dual side copy, print or scan, meaning everything is done with just one pass. This printer is strongly recommended for small businesses and workgroups who use Windows 10 as their operating system. I am not tech savvy but this printer was so easy to set up. Just plug it in and the screen takes you through the set up step by step. There is also a disk for your computer set up. The print quality is absolutely brilliant. Very sharp and very fast. The scanner is very quick. I was waiting for the document to start scanning then realised it had already finished and the document was saved as a PDF to my USB. I highly recommend this printer. Consumables: C13T787192, C13T787292, C13T787392, C13T787492, C13T787592, C13T671000. Xerox have lived up to their name for quality printers and copiers with the M255Z which operates on most Windows OS, including Windows 10. As is virtually standard these days, this printer is Wi-Fi enabled, which allows you to print direct from smartphones and tablets without the need for a wired connection. The size makes it ideal for the small-to-medium-sized business where space can be at a premium, yet it doesn’t lack in capacity holding over 250 sheets of paper for multiple copying. High performance and efficiency are paramount in an office environment, and a particular feature we appreciated with this model was the automatic duplex facility as standard, allowing you to scan or print on both sides of a document with only one pass. Quality of print and speed of startup are two other features of this printer which also impressed us. The low-end laser printer market is rather glutted at the moment with entry level models, but it’s relatively rare to see a multifunction laser at this kind of price point. If you’re a sole printer operator, it’s a fine purchase, but those who need to share it will need to factor in the costs of running a PC to keep it shared. The perfect printer for the small-to-medium-sized business, the CM305 df is packed full of features that you would expect to find on a printer selling for in excess of $1,000.00. This is a high quality and efficient multi-function laser printer which despite its capabilities, is extremely simple to use. Enabled for use with the Windows 10 OS, prime features aside from being Wi-Fi enabled is the duplex feature. In simple terms, this is one of the most time-saving options on a quality printer as it can achieve double-sided scanning or printing with one single pass, saving you from having to turn documents over all the time. Being able to print direct from tablets or smartphones is such a plus these days, though you still have the option of connecting directly. This is a fast printer with good cost-per sheet printing costs thanks to the quality ink included in the Fuji Xerox toner cartridges. We run this printer way beyond its duty cycle. It’s often going for hours non-stop and nothing seems to faze it. Always great copies so I would highly recommend it over HP and Canon that never lived up to this printer. This multifunction can be used for printing, scanning, faxing and copying of A4 sized documents. It has a printing speed of 23 pages per minute for both colour and monochrome documents. This machine has a printing resolution of 600 x 600 dpi and a scanning resolution of 1200 x 1200 dpi. It has a sheet capacity of 250 sheets so you’ll always have paper ready to go. This machine supports automatic duplex printing so you can save on paper. It has a 35 sheet document feeder so you can print and scan your documents automatically. This machine is wired and comes with a USB cable included so you can start using it straight away. It features a 256 MB standard memory and a 768 MB maximum memory. The fax modem supports speeds of up to 33.6 kbps. It has a monthly duty cycle of 40,000 pages. It’s Energy Star qualified to help reduce energy consumption. It comes with a 3-year warranty for your peace of mind. The machine comes with a USB cable for your convenience. Described as a journeyman of printers, Canon never produce a printer that won’t so the job it claims it can. The MG6860 is no exception to that philosophy. Output quality is excellent, while even at this price point it has the duplex capability allowing you to double-side print and scan with just one pass. And for those of you who are entering the printer market, this is very easy to set up, while still offering Wi-Fi capability for those of you who want to be able to print direct from your smartphone or tablet, as well as being able to hook up via a cable if preferred. Suitable for those running the Windows 10 OS, this small and space-saving printer is ideal for students and those of you with a small home office where space is always at a premium. Great features, ticks the boxes I wanted. I bought this product a month ago and found it easy to set up and fully compatible with Windows 10. Do you need the technology that allows you to print images using a smartphone or tablet even without a Wi-Fi router or access point? Eliminate the need for a Wi-Fi router and automatically connect to your printer. Looking for better visual impact? With new PIXMA inks that offer you improvements in black and red ink quality, your webpage and photo print quality will be more vivid then ever. Enjoy the convenience of printing with a built in 3.0 inch colour touch screen and benefit from a more enjoyable printing experience with an intuitive printing workflow. Easily print with the newest smart device application Canon PRINT Inkjet/SELPHY. Using a Wi-Fi connection, it’s the perfect way to perform simple printing especially for those who have printers without a display. Printing has never been more enjoyable and easy to use your smart phone or tablet. Offering an array of creative software to help you print directly from Instagram, enhance your creativity through Creative park premium and Easy Photo Print+. Consumables: PGI670BK, CLI671BK, CLI671C, CLI671M, CLI671Y, PGI670XLBK, CLI671XLBK, CLI671XLC, CLI671XLM, CLI671XLY. In this day and age where so much of what we do is Internet-oriented, it can be easy to forget that while such professions as graphic design use the most up-to-date software to assist with creating their designs, they don’t all end up getting sent to clients in a digital format. Yes, the likes of websites often never see ‘hard copy’ of their layout design, but we still use brochures, instruction leaflets, hard copy advertisements and other promotional materials, along with a whole raft of business-related documentation, such as letterheads, corporate logos, presentation documentation, etc. Now for a skilled graphic designer, there can be nothing worse than creating the perfect image in high definition on your computer screens, only to find that a ‘printed’ version just doesn’t have the same crispness, clarity or definition of colour. Graphic design is a mixture of complex yet subtle design, together with the careful use and marriage of colours. If a printer doesn’t have the capability of faithfully reproducing the skills of good designer, then that defeats the whole object of the exercise. Clever and successful graphic design rests solely on visual impact, something a printer cannot reproduce if it does not have the power to. Because quality counts and you only ever get one opportunity to make a good first impression, a reputable name with the capability of dealing with large files is essential. The capacity to deal with anything up to A3 paper is a must, while the greater the number of printer ink cartridges, the better. It is unlikely that a single ink cartridge printer will do anywhere near the job you will need it to. You should check the maximum resolution of the printer; the greater the resolution, the better the quality of the printed matter. Paper quality can also be critical as the better the paper, the better the quality of the print – especially if printing on photo-quality paper. We have assembled a list of five printers that we consider well suited to the environment of graphic design. With six individual printer ink cartridges immediately you know that the quality of image reproduction is going to be above average, with crisper and clearer colours. This is very much a colour inkjet printer for the technical and graphic-oriented environment. Of particular note is the ability of the printer to use ink droplets as small as 1.5 picolitres thanks to the MicroPiezo print head. Epson have used printer ink cartridges using Claria ultra-high definition photographic ink, you can be assured of bright, vivid images which are resistant to fading, have smooth tonal gradation and fine detail. An added plus is the Wi-Fi connection which allows you to ‘print on the run’ by not having to connect your smartphone or tablet to the printer before reproducing photographs and images. Have had an Epson stylus photo R1800 for almost 10 years and there was a need to replace it. Installation procedure for the Artisan 1430 was very easy and went without a glitch. Have started printing and find the quality of the prints excellent. Looking forward to many years of hassle free photo printing. If you are looking for extra-sharp and vivid reproduction in an A3 printer, then you shouldn’t have to look much further than this Pixma Pro-100 with its ability to print at a resolution of 4800 x 2400dpi. Incorporating Canon’s 3PL FINE print-head technology together with an 8-ink dye system premium quality, borderless prints are packed with remarkable colour and glossiness. This Canon printer features three monochrome inks that produce smooth tonal gradations, along with an Optimum Image Generating System to create the perfect balance of inks with precise ink placement. Use the PRO Mode to ensure the colour you see on screen matches the colour in your prints, while an advanced software plug-in will further adjust settings and colour management. Ethernet and Wi-Fi connectivity means that you don’t have to physically connect any devices to start printing. Despite the competitive price, this is still an expensive printer, and it certainly doesn’t look or feel like a budget model. The thick plastic body encases a print engine that’s strengthened with metal for better precision, while the main paper input and output trays feel like they’d survive a small explosion. The single-sheet multipurpose feed at the rear can print different sizes or types of paper without unloading the main tray. Supported operating systems Windows XP or later, Mac OS X 10.7.5 or later, Android, iOS. This printer is ideal for graphic designers, students and photo enthusiasts who want to see vibrant results from A3+ printing. The iP8760 produces high quality A3+ prints, at speeds of ISO 14.5ipm for mono and 10.4ipm for colour, providing the most outstanding detail, thanks to a minimum of 1-pixel ink droplets and an exceptional 9600 x 2400dpi resolution that you would not expect to find at this price point. The Canon printer cartridge six-ink system which features an individual grey ink, produces beautiful photos and smooth graduations in mono prints. Wi-Fi operation allows you to print on the go from any mobile device, with iP8760’s connectivity features including Apple Airprint™, Google Cloud Print and PIXMA Printing Solutions App. This printer represents one of the best solutions for those requiring exceptional quality images for graphic artwork or photographic images, at a very competitive price. Considering that the iP8760 focuses on photos, what matters most is the photo quality, which is precisely what the printer does well. Although its color photos aren’t a match for output from top-tier printers, like the Epson R3000, they are a clear step above typical drugstore prints. And unlike the Canon iX6820, the iP8720 also prints black-and-white photos at the same high level, with no obvious tint and with appropriately subtle shading. Uses Canon ink cartridges: PGI650BK, CLI651BK, CLI651C, CLI651M, CLI651Y, CLI651GY, PGI650XLBK, CLI651XLBK, CLI651XLC, CLI651XLM, CLI651XLY, CLI651XLGY, CLI651XLVP. For those who are fans of the quality of laser printing, you won’t be disappointed with this affordable brother colour laser printer which is very well suited to photographers and designers alike. The Brother’s HL-L8350CDW is an impressive high-speed, colour laser printer with 30ppm output in both colour and monochrome. Wi-Fi technology makes printing a breeze from any portable device, while direct cable connection via your PC is also possible. The HL-L8350CDW features automatic 2-sided (duplex) printing which certainly reduces hassle when double-sided printing. High page-yield replacement Brother toner cartridges help you to achieve maximum output at reduced costs. Added and more unusual benefits include Secure Function Lock 3.0, while BRAdmin also adds to confidentiality, convenience and efficiency. This is definitely a printer that hits all the right marks and has the great name of Brother behind it. I’ve been running my Brother printer for about a month now and am happy with it for many reasons: including 1. It’s an affordable colour printer with all the required functions – including Duplex printing which I’ve now come to love. 2. the consumables are reasonably priced and seem to be lasting a good length of time. 3. It connects to all sorts of devices, Window, Mac, IPhone and works seamlessly on my network using the IP address functions – there are so many other printer services that it supports that I’m not surprised it works so well. At this price you start entering the realms of a high-quality colour printer for individuals and businesses that are highly image oriented where printing requirements are concerned. The HP printing system is designed to minimise ink use while maximising quality thanks to top performance HP ink cartridges. Speed is also of the essence with this inkjet printer, producing up to 70 pages per minute. The printer is designed for medium print level demands, with a recommended 6000 pages per month usage, and with the paper tray over 1000 pages can be loaded at a time. Ink use should see you get approaching 9000 pages per ink cartridge. Wireless technology allows you to print direct from smartphones and tablets without the need for any Internet connection or router either, making this very much a printing hub for a busy office environment. Fast 70-page per minute print speeds and economical print costs are enough to make this a top-rated printer, but the Officejet X576dw doesn’t skimp out on business-friendly features, including wireless and network connectivity, solid print quality and easy-to-use touchscreen controls. Consumables: CN621AA, CN622AA, CN623AA, CN624AA, CN625AA, CN626AA, CN627AA, CN628AA. Compatible or Generic Ink Cartridges are a great alternative to Genuine cartridges for many reasons! In saying this let me add that there are still hundreds of online stores which are selling low grade Compatible Ink Cartridges. In this article I wish to put to rest some of the myths that have been circulating for many years about the problems associated with the use of generic cartridges. Unless you buy your compatibles from a reputable reseller who has been around for a while and with a proven reputation then be warned. Low grade ink can clog your print head and many are even moulded poorly which also leads to compatibility issues. If however you buy from a reputable dealer then the advantages are many while still maintaining the highest of print quality. Why use Compatible Ink Cartridges ? The greatest advantage is obviously the price. Most Generic Cartridges retail for half the price or less than that of a genuine cartridge with no noticeable difference in print quality. Generic Printer cartridges also usually have a higher page yield than many genuine products. Compatibles usually dry quicker also which lessens the chance of smudging. Printer manufactureres are still very crafty and continually try to scare consumers into thinking that a compatible cartridge will somehow damage your printer. As long as you use a high quality compatible cartridge then the chance of this is nil. Using a cheap, low quality compatible however can cause dilemnas. One of the main concerns people have is wether or not using a compatible cartridge will effect the validity of the printers warranty. The answer to this is a definite NO ! Do not let the retailers tell you any different as there is no reason in the world as to why a generic cartridge would cause a printer to fail (unless it was an extremely poor quality generic cartridge purchased from a less than reputable supplier ). It is the individuals right to choose the brand of ink you use in your printer. It is against the law in Australia for anyone to tell you that a printer warranty will be voided if you don't use the printer manufacturer's cartridges. Make no mistake about it if a retailer refuses to honour your printers warranty due to using compatible inks then they are breaking the law ! Why are compatible inks so much cheaper ? Many people ask this question and the answer is really quite simple. The cost to produce a genuine printer cartridge is generally not much more expensive than a Generic Ink. Usually a genuine cartridge will be packaged much more attractively and may even look more appealing to the eye. The truth however is that they are made in either Malaysia, Thailand or China the same countries as their compatible equivalents. So basically the profit margin on the genuine cartridge is many times greater than it's compatible rival. I am always amazed at the number of people who remain fearful of the thought of using a generic ink cartridge. Many people still have the mentality that the minute they install a non genuine cartridge into their printer that it will destroy it. They whinge about the cost of the genuine products but due to past experiences with low grade compatibles they will not even attempt to give them another try. In many ways you can understand their reasoning however non genuine cartridges have improved in quality so much in the last decade that they really are very similar in quality to the genuine brand name inks. Many of our customers have converted to non genuine inks (much to their displeasure) and after giving them a go they realise how much cheaper and just how reliable they really are. With our FULL MONEY BACK GUARANTEE what have you got to lose? There have been endless amounts of tests performed over the years to try to gauge the differences between Genuine and Compatible Ink Cartridges. While none have been 100% accurate in regards to print quality etc the majority of tests have clearly shown that generic cartridges represent a huge money saving advantage. As we have stated in many of our previous articles there can be a huge difference in quality from one compatible cartridge to the next so make sure that you do your research and check various review sites to get other peoples opinions. FACT: Many of the Chinese and Malaysian companies who manufacturerer generic cartridges are the SAME companies that also produce many of the Genuine OEM name brand cartridges. This is a known fact amongst most of us who have been in the trade for some time. Remanufactured ink cartridges and toners are actually "reconditioned" versions of the original, genuine brand name cartridges. Remanufactured cartridges can vary greatly in quality depending on the company which does the "reconditioning". The most common remanufactured cartridges are toners. Due to the large physical size of toners it is far cheaper to remanufacture these than it is to replicate them. Some companies simply drill a small hole in them and refill them with toner where as more reputable companies will strip them down and replace every worn component before refilling them. If a toner cartridge has not been carefully reconditioned often it can result in poor quality printouts such as streaking, gray backgrounds and even complete printed sections missing. A good quality remanufactured toner should give the same quality print as a genuine toner but at a much cheaper price. Another common issue with poorly remanufactured toners is that often they dont replace the wiper blade which can cause toner powder to leak onto the drum unit. This results in dirty printouts and requires the toner cartridge to be removed and the drum cleaned of excess toner powder otherwise the print quality will continue to deteriorate. 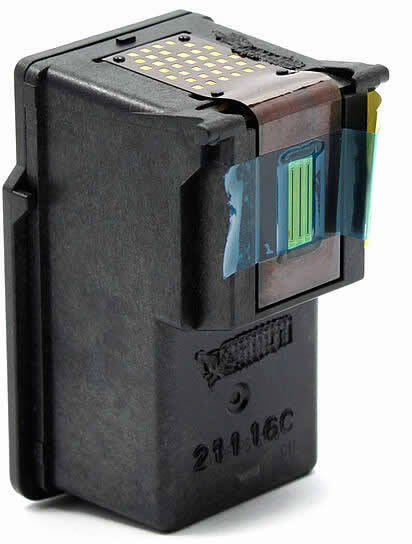 The most common type of remanufactured ink cartridges are the ones which have the printhead built into the cartridge itself. The most common ones being HP and Canon cartridges. Once again quality can vary greatly as some simply refill them, repackage and that's it where as other companies will powere flush them, replace the sponge and then refill with high quality ink. Be warned however as these style cartridges can be very problematic and will produce poor printouts if they are not reconditioned to a very high standard. Often they will clog up and printouts can have bits missing or even incorrect colouring due to partial clogging of individual colours. We no longer sell any remanufactured cartridges with the printheads built in as they are simply not reliable enough. Often they are sold as "Compatible Cartridges" but strictly speaking they should be reffered to as a remanufactured cartridge so that the end user knows exactly what they are buying. As a reseller of very high quality ink cartridges I find it frustrating that many people still are unwilling to try compatible cartridges in their printers. Many have been tainted by bad experiences in the past and I quite understand why they are reluctant to try them again. There has been a plethora of cheap, low grade compatibles flood the market over the years and no doubt many people were burned by past experiences with compatibles. KG Ink Master has been importing and reselling our own brand of compatible cartridges for over number of years and the quality is exceptional. We have tested many different brands during this time and none compare to the brand we are currently selling. Like them or not the compatible market is growing at an incredible rate. Give them a try for yourself. I think you'll be quite surprised ! Don't let that blank, boxy look fool you: Printers can steal your money and your time if you're not careful. Printer manufacturers have come up with a few creative ways to drain your wallet through ink and toner cartridge costs. Other printer models just make you waste precious minutes fooling around with complicated menu systems or stupidly designed hardware. How do you spot a thieving printer? We've identified some of the leading suspects for each specific crime. But to determine whether your printer is pilfering from you, check its specs and our reviews for these warning signs. Think you got a great deal on your printer? Think again. It’s a common ploy for printer vendors to sell machines at or below their production cost--and then make their money later on with extremely high ink or toner costs. How can you tell? Do the math: Take the cost of the cartridge and divide it by the page yield—the number of pages the manufacturer says the cartridge can print. (Note that most vendors base their page-yield numbers on industry-standard testing that is designed to represent real-world usage. However, the page yields you obtain may vary, depending on what you actually print.) Some vendors make their page yield information easy to find online (thank you, HP! ), while others bury it (we're looking at you, Canon). The cost per page for the printer’s ink or toner does not reflect other printer costs, of course, such as those for an inkjet’s special paper or for a laser’s belts, drums, and other longer-life consumables. We collected cartridges prices and vendor page yield information for a number of printers. From them, we determined that the following costs per page for black-and-white and four-color pages for inkjet and laser printers are about average. If your printer’s costs fall at or below these averages, that’s good. But if its costs exceed these averages, you should consider looking for a different printer. A person who prints two dozen or fewer pages per week, mostly text with a little color, might tolerate a higher cost per page; but with so many good printers out there, why go with one that's going to soak you? PC World's research has shown time and again that lower-capacity ink and toner cartridges cost you more in the long run. If you print relatively little, it may not matter much, since the high cost is spread over a longer period of time. But if you print a lot, look for ink cartridges with yields above 250 pages, or toner cartridges with yields above 2000 pages. Some printers offer high-yield consumables that can save you a lot more. Here are the worst and best models for cartridge capacity that we've reviewed recently. If your inkjet printer requires specially coated paper to produce the best-looking output, you'll end up shelling out a lot for paper over time. Most inkjets can print at least adequately on plain paper, but a few that we've tested recently still can't hack it. Customers reached a $1.5 million deal with HP ending a class action lawsuit over third party ink cartridges and an allegedly fake error message that would stop consumers from being able to use them. The HP ink cartridge monopoly class action settlement, if approved, will end claims that the printer company installed firmware, called “dynamic security,” into HP printers that stopped customers from being able to use non-HP ink cartridges. The class action lawsuit alleged that the use of firmware to force consumers to only use HP ink was illegal. Further, alleged that plaintiffs, the HP firmware allegedly caused the printers to display error messages when non-HP cartridges were installed, making customers think that the cartridges were defective. Earlier this year, HP asked a federal judge to dismiss the class action lawsuit; however, U.S. District Judge Edward Davila tossed HP’s argument, though some claims were trimmed from the case. Under the terms of the HP ink cartridge monopoly class action settlement, HP is barred from using the so-called dynamic security program on affected printers. Additionally, Class Members will be able to make a claim for a cash payout from the settlement fund. “First, the settlement achieves the goal of the litigation by eliminating the threat of forcible printer disablement for all members of the class,” state the plaintiffs’ in the motion for preliminary approval of the settlement agreement. The number of Class Members is estimated to be about 50,000, according to the HP ink cartridge monopoly class action settlement. “The settlement avoids protracted litigation while delivering all or most of the relief class members could expect to obtain at trial,” notes the plaintiffs’ motion for preliminary approval of the HP ink cartridge monopoly class action settlement. Class Members will receive a part of a $1.5 million settlement fund under the terms of the HP ink cartridge monopoly class action settlement. “On the optimistic assumption that 20 percent of these class members make a claim, the average payment per class member would be $150. Had plaintiffs prevailed at trial on the common liability issues, under plaintiffs’ trial plan, individual class members would have been able to submit proof to recover their out-­of­-pocket expenses in proceedings following the class trial,” notes the motion for preliminary approval of the HP ink cartridge monopoly class action settlement. The plaintiffs are represented by Daniel C. Girard, Jordan Elias and Elizabeth Kramer of Girard Gibbs LLP, Todd M. Friedman and Adrian R. Bacon of the Law Offices of Todd M. Friedman PC, Joseph R. Saveri, Nicomedes S. Herrera and Kyla J. Gibboney of Joseph Saveri Law Firm Inc., Daniel R. Karon of Karon LLC, and Taylor Bartlett of Heninger Garrison Davis LLC. The HP Ink Cartridge Monopoly Class Action Lawsuit is In re: HP Printer Firmware Update Litigation, Case No. 5:16-cv-05820-EJD, in the U.S. District Court for the Northern District of California, San Jose Division.